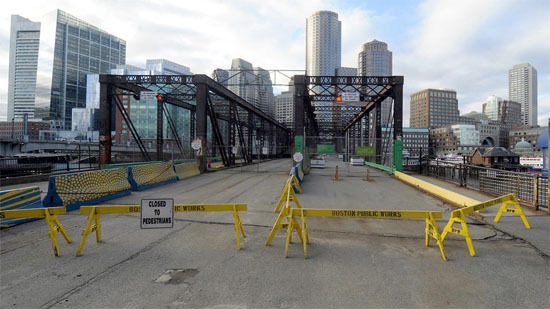 0	Who’s Going to Fund the Northern Avenue Bridge Renovations? Should the bridge be used by developers or not? Well, they might not actually cross it, but fund the renovations for it. Why you ask, zoning relief. 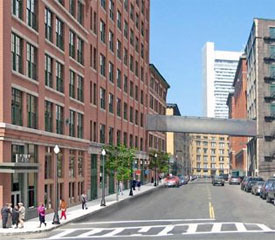 An advisory group of stakeholders – ranging from walking and bicycling advocates to preservationists and Seaport businesses – has discussed a public-private partnership as a funding source, said member Greg Galer, executive director of the Boston Preservation Alliance…The group has been meeting since December and will submit a recommendation to Walsh as soon as next month. 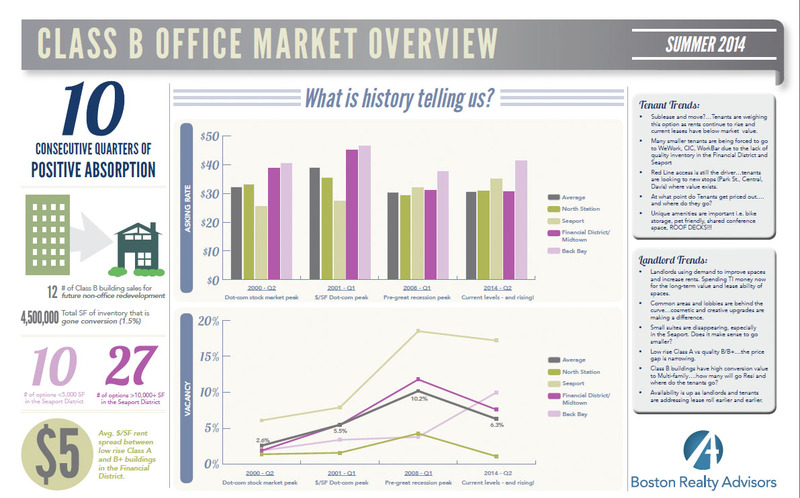 The Seaport continues to show the market that it’s going to remain a dominate force in the Boston office market. Rents are up, vacancy is down and demand is strong. The challenge is the only new construction is Class A, so if you are seeking updated brick-and-bean, wait in line or be prepared to pay for it. Alternatives that trade about $8 – $12 per square below would be Boston’s Financial District or the Leather District. 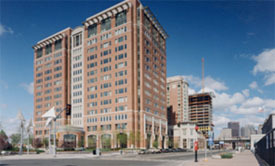 You can read more about the significant, three-building office space sale in the Seaport on Bostonsf.com. The Seaport just got harder to get to and from. Not only are there fewer parking spaces, now there is one less pedestrian walkway from the Financial District to the Seaport. The ultimate plan is to reopen the bridge to cars and pedestrian traffic, but no date has been given. Additional details are available on the Boston Herald’s website. 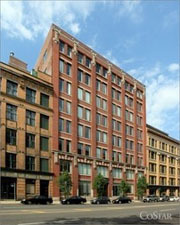 For $513.49 PSF Synergy Investments has sold 51 Melcher Street to Zurich North America. The building went through a complete renovation and was delivered fully leased to WeWork, Life is Good, and NetSuite. Pricing with the Seaport Class B Market now is running in the upper $30’s to low $40’s PSF. More trades in the Seaport’s red hot office Market. 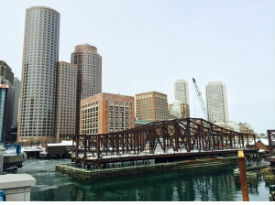 The Seaport Class B office lease rates are hovering just around $40 PSF in the first year. 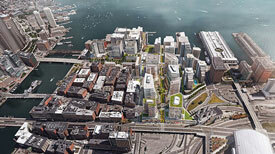 The WSJ article on the Boston Seaport is available, here. Boston continues to expand into the Seaport. The once-famed $7-per-day-dirt parking lots have been replaced with corporate office space for the biotech industry, law firms, financial services and newly funded technology companies. Did this happen overnight? Well, no. The Ted Williams Tunnel to the airport, and onramp to Mass Turnpike East and West fostered accessibility and spurred new opportunity. That level of infrastructure was the catalyst of for our current development cycle, combined with demand for residential and office development. 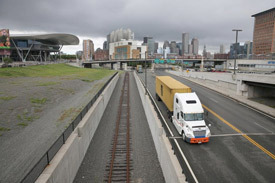 More information on the Seaport’s transition is provided in the Boston Globe’s full article. 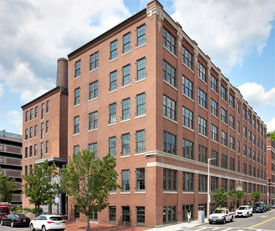 Alternatively, you can view our listings for currently available office space in the Seaport. Mobility seems to be the cornerstone for the general population. Be it a smart phone or a tablet, we are on the phone and don’t wish to be tethered. The same is true for office space; CEO’s today are looking for flexibility with a collaborative environment, not a long-term lease. Desk and office rental is the solution. Pay for exactly what you need, when you need it. Additional information on WeWork is available in the Boston Herald article. Connecting North Station to South Station would be great, but better would be Back Bay to the Seaport. Boston is on track to continue to invest in infrastructure that better our places to work and live. The use of track 61 will be a welcome addition to those that travelers to and from the Seaport/Innovation District.